For many, the start of June means the start of summer. And after a disappointing start, most of the UK is starting to see some clear warm weather for a change. As the sun shows its face, more faces begin to show around the nation’s favourite angling spots. To celebrate the warm weather, we have made our range of fishing containers the featured product for this month. Since we launched the fishing and bait buckets on our website earlier this year, we have had a lot of interest from angling societies and fishing supply stores. A lot of these new customers were eager for a cheaper, but higher quality alternative to some of the more expensive branded fishing containers available to buy on the internet. By buying directly from the manufacturer, anglers and their suppliers can be sure that they are getting the best deal. There’s no distributors, no unnecessary additional costs. Just high quality containers, manufactured right here in the UK in a range of sizes and discreet fish-friendly colours. And the best thing about buying from us? As the quantity of buckets goes up, prices come down dramatically while our own brand courier delivery service pricing remains relatively flat. Our containers are made from a high quality Polypropylene (PP), and they are all 100% food grade, so you won’t unknowingly release any chemicals or toxins into the fishing ecosystem. 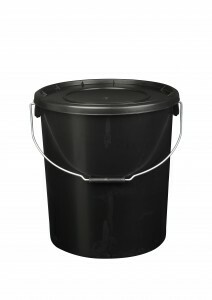 Our plastic buckets are manufactured to be tougher than others on the market. Imported containers tend to be made with less raw material, and so are less resistant to heavy impact and pressure. H&O Plastic containers are so sturdy that any one of our fishing buckets can be upended and used as stools. In fact, we’re so confident in their structural integrity that if you do sit on one and it snaps we will happily replace it. 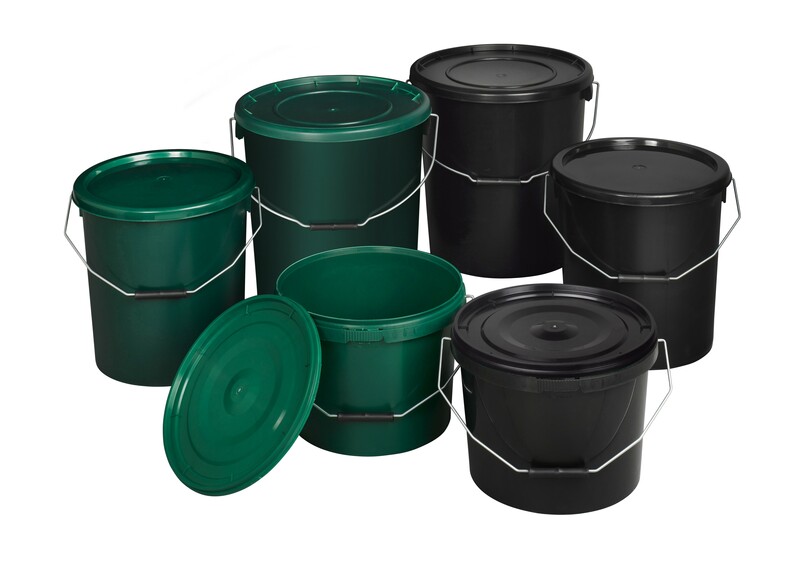 The camo-coloured fishing buckets are available in 10L, 16L and 25L sizes. They are perfect for storing, transporting and mixing ground bait to help you land carp and other popular catches. Ready to buy? 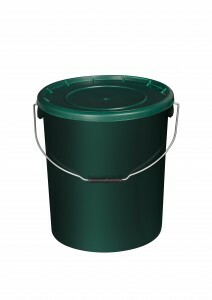 Browse our full range of fishing buckets.